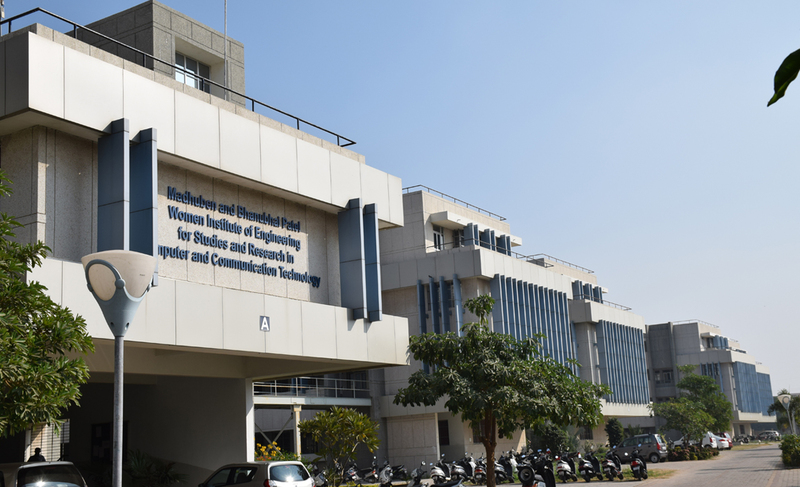 Madhuben and Bhanubhai Patel Women Institute of Engineering for Studies and Research in Computer and Communication Technology (MBICT) is not only the first engineering college exclusively for girls across Gujarat, but also the first college to introduce a need-of-the day courses like Information and Communication Technology (ICT). MBICT epitomizes the commitment of Charutar Vidya Mandal towards academia and society as, on the line of women empowerment, the institute professes to add to the technical quantum competent women personnel. The committed taskforce of MBICT is aware of its responsible to penetrate the conventional teaching-learning process and prepare a generation of young and competent human resource who can implement technical advances for the betterment of masses in general. The institute has charted out a long-term plan to inculcate its core ideology of social welfare and thus emerge as an exemplary Utopia of academics. At MBICT, students are given ample freedom of experimentation to liberate their conditioned mindsets and thus gradually they are led to the realm of innovative learning. Contact us for any Inquiry, we will happy to help you…!!! To prepare competent need-based human-resource and responsible citizens for engineering profession through dissemination of knowledge and development of technical skills and create an environment that fosters the involvement and commitment of all stakeholders for continuous improvement in performance and quality. To become benchmark technical institution where learning is a joy, education is for tomorrow, research and development is pace setting and every one is committed to delivering competent human resource for prosperity and well-being of industry, profession and society.